An American lawmaker has said that Vice President Joe Biden will run for presidency, even as the White House remained tight lipped about it except for saying that an announcement on the decision is coming soon. 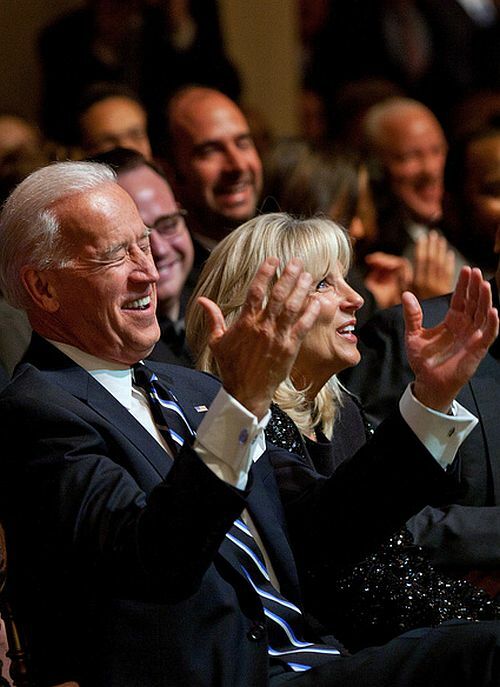 "I have a very good source close to Joe (Biden) that tells me VP (Vice President) Biden will run for Prez (president)," Congressman Brendan Boyle said on Twitter. Responding to critics that it is too late for Biden to enter the race, Congressman Brendan, who represents Pennsylvania's 13th congressional district in the House of Representatives, reminded his followers that Bill Clinton, the former US President, entered the race in October 1992. If Biden decides to run for presidency, he would be pitted against Hillary Clinton in the Democratic presidential primary. The White House had earlier indicated that a decision on this might be coming soon. "I think the laws of physics will require that this is a decision that would be announced relatively soon because the date of these contests is coming up. But for the precise date, that's something that only the Vice President knows," the White House Press Secretary, Josh Earnest, told reporters at his daily news conference. Biden is scheduled to meet with US President Barack Obama for lunch at the White House on Tuesday. Given the level of speculation, all eyes are expected to be on the two leaders. The lunch as usual is closed for the press and the White House does not provide a read out of the meeting. Meanwhile, a CNN poll released on Monday said Clinton leads the Democratic presidential race with 45 percent, followed by Vermont Senator Bernie Sanders (29 percent) and Biden, who is considering a run for presidency, with 18 percent. The White House Press Secretary told reporters that he knows there's plenty of speculation about the urgency of the political calendar. "Ultimately, this will be a decision for Vice President Biden to make. I'm confident that as somebody who's participated in this process firsthand on a couple of occasions that he understands the timing pressure that he's under, but he'll make a decision he's prepared to make it," he said. "I think that over the last seven years I think as Vice President, he has made quite clear to everybody that he is somebody who would be not just capable, but effective, if he were to serve in the Oval Office," he said. "In fact, that's why the President chose him to be Vice President in the first place. But ultimately, he is going to have to decide on his own, and I think he is doing this thoughtfully," the White House Press Secretary said.